Nature’s Sunshine Catnip & Fennel blends two herbs famous for the nourishment they provide to the digestive and nervous systems. 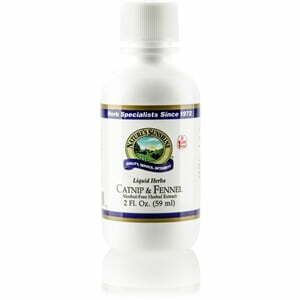 Both herbs are natural sources of important trace minerals and vitamins. 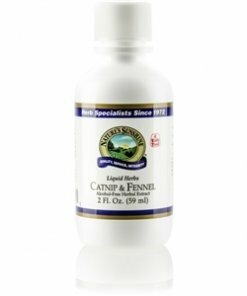 Nature’s Sunshine Catnip & Fennel is a highly concentrated and preservative-free formula that is easily assimilated by the body. Instructions: Adults: Take one-half to one teaspoon (2.5 to 5 ml) in water with a meal three times daily. Children: Take one-quarter teaspoon (1.25 ml) in water with a meal three times daily.